Think about it. If you were to write down the names of three people you consider to be really good listeners, chances are, none of them are people you can’t stand. These are people you like, love and/or respect. If you don’t consider yourself a great listener, with a little extra effort, you can become one. It worked for me. To be fair, I was not surprised she did not consider me a very good listener. Her habit of greeting me each morning (the busiest part of my day) with an ordered, detailed list of her activities since we last spoke the afternoon before, sometimes caused my eyes to glaze over (visibly, apparently). FORSAKE all distractions. Get rid of the clutter on the space between you and the speaker. Newspapers, and documents scattered across the desk or table can be a barrier to really listening. Don’t allow your attention to be diverted to the computer screen at the chime of a newly-arrived email, don’t answer the phone and avoid looking at your watch or cell phone. These can wait. Body language. Lean FORWARD. Avoid crossing your arms and leaning back. Maintain eye contact with the speaker. FIGHT the temptation to interrupt. You’re not really listening if your mind is at work trying to come up with a response or to inject a comment that places attention back on you. FITTING Questions. Ask questions that show the other person that you are genuinely interested in what they are saying and you want to learn more. Practice these tips with every conversation and even the most distracted, eyes-glazed-over listener (like I was) can become an active listener. It will also make you more valuable on the job market. 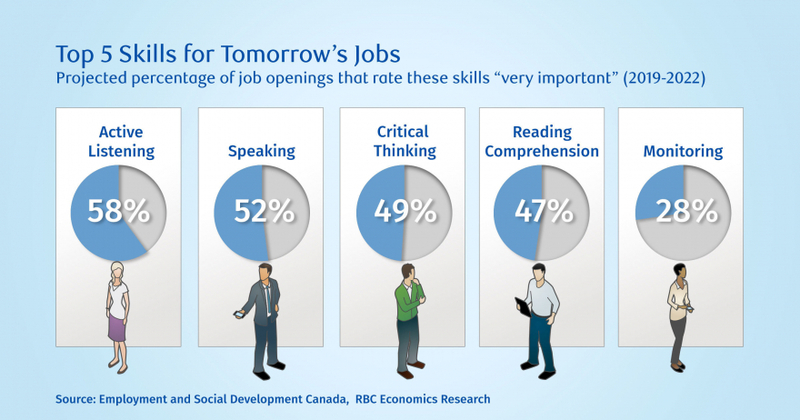 According to Employment and Social Development Canada, active listening is projected to be the skill most needed for jobs in the the next five years. "Brent displays excellent communication skills both in articulating his point while showing respect for other points of view and by exhibiting good listening skills”. If I can do it, then there’s hope for you! Brent’s “Coach Approach to Engagement” workshop includes a component on learning to communicate effectively with your team through active listening, asking powerful questions and using direct communication. I really enjoy reading your comments and insights, so please feel to leave them under the article on LinkedIn or my Facebook page.